When I was a kid I had very supportive parents. They would bring me to squash tournaments all over North America and even over the Scottish and British Opens one year. I had a lot of success as a young squash nut winning the Canadian nationals and U.S. Open with some other high finishes along the way. As a young boy I beat some players that went on to play professionally and make it inside the top 50. Unfortunately I quit playing squash when I was 14 for about 5 years so I never really got to make a go at becoming the best I could be. I also dreamed of becoming a world champion and was convinced I would, but why do some kids stop chasing their goals and others don't? When you're a kid you think anything is possible (at least I did) and if you worked hard enough you could do whatever you want. Teachers ask kids what they want to be when they grow up and they often say something pretty unrealistic like an astronaut; but someone has to be an astronaut. Just because something is a long shot doesn't mean it's not going to happen. How and why do kids stop believing in themselves and chasing their dreams? There's probably a few reason why this occurs. Kids are stereotyped because of their physique or where they come from so some don't get as much attention and don't get selected to higher level teams. Parents also feel like kids should grow up at a certain age and think and act more like an adult; which basically means focus on making money and doing less of what you like. There's also a definite lack of unrelenting belief within some people. People are too quick to think they just don't have that fire or willpower, but it is something anyone can have in the right environment and upbringing. I believe this is a learned habit and having a taste of success can go a long way to fuelling your dream. 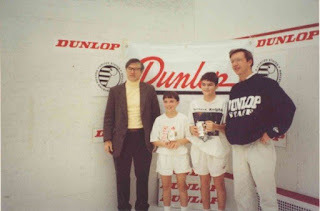 When I was a kid of course (yes I'm the small 1 in the below pic) I would always say I wanted to be a pro squash player and not just that but world #1. Even after having quite a bit of success not everyone was thinking my dreams were very realistic or sustainable and I'd always be told to focus more on my studies. I remember 1 time my parents asking me what would happen if I for example have knee problems and could no longer play professionally? I remember stating that, 'if I get injured and can't compete anymore I'll be a coach.' So it wasn't my first choice, but it's funny that's what happened. See parents are always worrying about what could go wrong and worry a lot about their children. Parents want their kids to be able to take care of themselves and becoming a professional squash player means more than likely they'll be disappointed, possibly uneducated enough to get a good job if squash doesn't work out and also have financial problems (because we all know there's not much money in pro squash). If parents are pushing kids into squash normally it's to help get them into a good school, not to make a living doing it. It's this sensible and protective nature which eventually kills the dreams of kids. Just because your parents didn't achieve their childhood dreams don't let this affect your passion. I believe this is why the kids of successful athletes are more likely to make it to the pro level; not only are the kids seeing the work ethic and lifestyle it takes, but they see what daddy or mommy did and of course they think if they did it we can to and the parents also think this way. If you're surrounded by people that believe in your dreams you'll be far more likely to achieve them. I've heard many other parents over the years who also told their kids what they should be striving for and to set realistic expectations so they don't get let down when they fail to achieve their unrealistic goals. How would anyone in the world every achieve anything great if we all erred on the side of caution and realism? You only live once and I don't understand trying to take the safest route just to avoid disappointment. 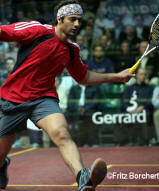 Wanting to play professional squash is a long shot let alone making a living playing it, but it is certainly possible. It can also open up doors to other avenues, so my big point today is to support the dreams and goals of those around you no matter how absurd and unrealistic they may seem. As soon as we start putting walls up and telling them to grow up and think about their future we kill their hope and without hope there is no more dreaming or passion. You may just be amazed by how far motivation and belief can take someone. Some parents may have unrealistically high expectations for their kids, so let's not confuse these with intrinsic desires and goals. So if you have a kid that wants to be the best in the world at something don't tell them it isn't going to happen. Even though I didn't become #1 in the world or play professional squash I know from my experience and success as a young kid that I can do anything in the world if I put my mind to it, am passionate about it and stick with it. Just because you think it's a silly dream it's wrong to tell someone they can't do something so if you care about that individual you should support them and believe in them. And if you're the 1 having doubts yourself hopefully this post will give you some extra courage to keep fighting for your dreams. Even if you don't achieve what you originally set out to do you'll likely realize 1 day that it was the journey which mattered most, not the destination; this is why process goals and making the most out of what you have is so critical. I think this is why many of the former world #1's over the past few years have let their standards slip. They reach their life long dream and the drive to chase the top of the podium is gone. It's also much tougher to play trying to maintain something and to not lose than it is if you're hungry and gunning for the top and your childhood dream. I read in a book how LeBron James has set a goal to become the best player of all time, not just the best player in the league each season. So if you are so fortunate to reach your dream goal you better think even bigger and come up with some goals that other people would think are impossible. It's also key to focus on the process of becoming the absolute best you can be. If you can do this you will still find ways and areas to improve upon regardless of whether you've achieved your outcome dream goal or not. I remember about 5 years ago running a provincial camp for the top kids here in British Columbia. I handed out a questionnaire to them and 1 of the questions asked what their dream goal was for squash. Only 1 of them put to play professionally. Many of the goals were extremely modest or not challenging whatsoever; it basically showed me that these kids were not going to go as far as they were capable of simply from the response of a single question. I believe these low standards are learned behaviours from their environment and as a coach they drive me nuts. I know a kid can never be that good if they don't think they can. I would much rather work with a less talented child who goes to bed dreaming of becoming the next world champion and has the work ethic to back it up. I really hope I reach at least 1 person with this article and if I make a difference in their belief and goals I will be extremely happy. Whether it's you as a supporting role or as the athlete him/herself. I know when we lose to many matches or have a poor season we get down on our game and our expectations about what we can do can quickly diminish. But squash is not a sprint, it's a long race and it takes a commitment to your long term development and the mind is the key to achieving greatness. Learning to cope with poor performances and disappointment is something your team can help you with, but ultimately has to come from within. If you need that extra incentive to fuel you along, try and prove any doubters wrong. Someone doesn't select you for a team, work harder and prove you belonged. Many low draft picks in major league sports carry this chip on their shoulder each and every day at practice even well after they have been successful. Don't play and practice angry, just play with determination and complete confidence that you have something to prove. Just because you haven't or somebody hasn't done something before it doesn't mean it can never be done. The main obstacle is also what can be your greatest asset, the mind. Ramy Ashour will have doubts about his health and his hamstring for the rest of his career and for good reason, yet he continues to fight. Why? Because he still believes and has hope while others are all to quick to write him off and wonder why he won't hang up his racquet. He wouldn't have gotten to the incredible level that he has without having to deal with plenty of criticism and adversity over the years; when you handle these instances well it makes you tougher and you gain more confidence in your ability to do anything you put your mind to. Even though it's his body letting him down, it's the battle in between the ears which are the toughest to overcome. A couple of years ago I wrote a post about what I would do if I could go back and coach myself now knowing all that I know. I mentioned a number of things, but there is something I would add to that list. One are I would definitely like to go back and do is work with a personal trainer and even take some group fitness classes. When I was young I had a treadmill, stationary bike and a weight machine in my basement. Even though it was great to be able to do some cross training and certainly something is better than nothing, I really I had no idea what I was doing or how much to do of everything. 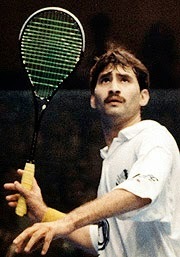 Even as I got to university I generally ran our team practices along with the off court training. I would often take the team to run hills and do wind sprints by the squash club. On court we would do random drills and often finish with some court sprints. When I was a kid I just don't think any junior worked with personal trainers. Parents already invest enough money into lessons, camps and tournaments so what's the point of a personal trainer, especially on a weekly basis? At the university level we all knew the importance of off court training, but again we weren't specialist so we just did what we thought we should do. The idea of working with a personal trainer never even crossed my mind. At university I was on a very tight budget on I couldn't afford such luxuries. I always worked hard, but to get the most out of it that effort needs to be guided into the right direction. Now that I'm 35 and have had 1 knee surgery and many years of coaching under my belt, I've finally come to a realization that I have to regularly work with a trainer, see a physiotherapist and get a massage. It helps now that I can write off a portion of these expenses through my work medical coverage, but still it is a difficult concept spending a few hundred dollars per month of these luxuries. The difference now is that they are all essential, especially trying to deal with the decades of playing and coaching. If I could go back to a child and coach myself I would very much like to work with a personal trainer and have someone help set up a training program for me. As a squash player you're never quite sure how much of what to do and parents are always cautious about their kids lifting weights. 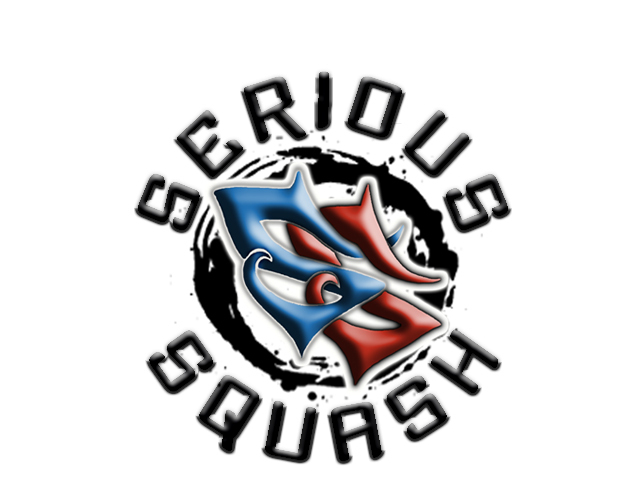 Squash is such a 1 sided sport so it's an essential part of self care and not only will it help your squash game it also will help you avoid long term overuse injuries which I have been dealing with the past few years. I know from taking the level 3 coaching courses in Canada that squash coaches are expected to be able to plan out an athletes physical training. To me this is absolutely ridiculous because this is not our area of expertise. I never had an annual training plan when I played and I've worked with some pros that don't use one. I think they can help some people, but are not necessary. And what good is an annual training plan if we don't know when to mark up which type of training? I mean sure I know we need lots of cardio and agility and I can help improve your court movement. I know strength training is important, but not too frequently during the season. But how am I supposed to tell a pupil how often to do which exercises and which types of training are best at certain times of the year? They have people who are specifically trained to do this so why in the world would someone expect me to know how to do this as well as a trained expert on the subject? Surely I should I only be expected to know how to coach? 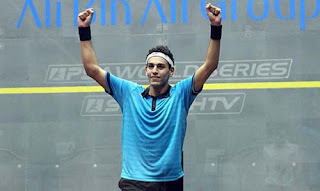 Most squash coaches can get you fitter. We can run you through some ghosting an court sprints and circuits. But knowing the specifics of the technique for each movement, duration, intensity and frequency is something personal trainers should handle. 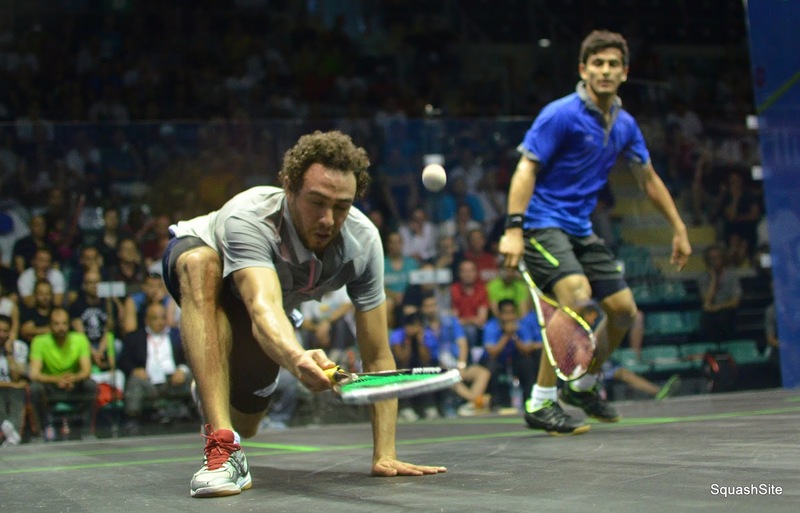 Learning how to lunge and squat properly is critical in training and for squash training. I don't know any professional sport in the world where the coach runs the conditioning part of an athletes training. I heard awhile back that the fitness and conditioning coaches in football are the most important parts of the coaching staff. I believe that our kids would be better off with a personal trainer working on this part of their game and the coaches focusing on the squash side of it. This is the beginning of building a team around an athlete. 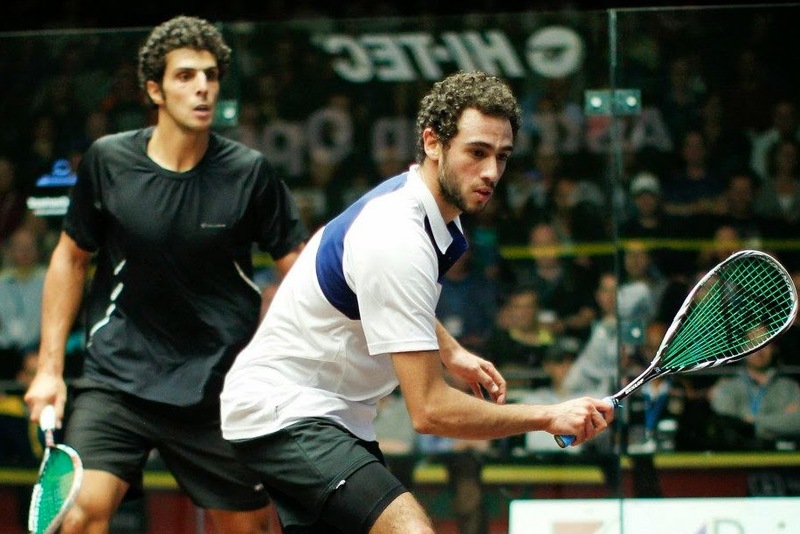 Being a well rounded athlete is essential to playing at a high level of squash and avoiding injury. The only way we will optimize the hours we spend off court training is learning how to do it properly, so I am all for personal trainers/strength and conditioning coaches. How young should kids begin working with a trainer? My trainer says around grade 8-9 is when a kid is most trainable and is a great age to start working with a trainer. Kids bodies adapt so quickly if they are working on the right areas with proper technique. I wish I had this opportunity when I was a kid, because I had the shots and racquet skill, but was quite small compared to the other kids so would get overpowered. I also dealt with some knee problems on and off. These are things no squash coach I had could have fixed. These are areas I believe that a quality personal trainer could have helped me with though. It's so hard maintaining a high level of every type of fitness trait throughout an entire season. We shouldn't worry about slightly lapses in 1 area if we are concentrating on another area. I know I often stopped strength training during the season because I was on court so much, but this is another area i wish I had stuck with even just to maintain my strength and off season training gains. Being young and not having the money to fund proper training was a real issue for me. So how could I have changed this? I could have tried to get a group of 3 or 4 of my peers together and work in a group setting with a trainer. I could have also signed up for some group classes like a spin class or yoga. Sometimes in squash we think we can do it all by ourselves because it's an individual sport, but the sooner you realize you can't and shouldn't the better off you'll be. If you fortunate enough to have a great trainer in your corner you'll know how much they're helping you for your game. 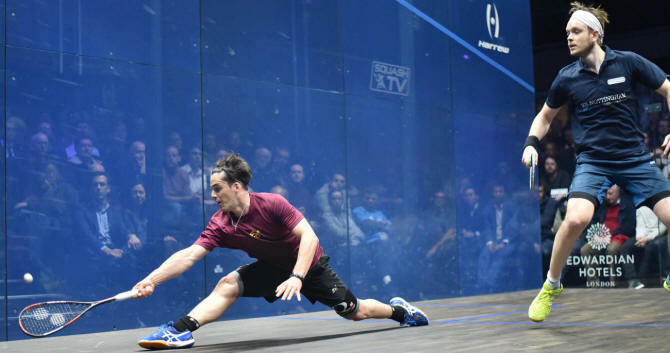 Even now when I play a strong player, I normally have the shots to contend with someone, but it's the physicality of the squash at this level which I have trouble with. I know it's not genetics, it's simply a matter of proper training. Look no further than Paul Coll or Fares Dessouky to see how important off court training is. The way they can move on court and for how long is because of the off court training. 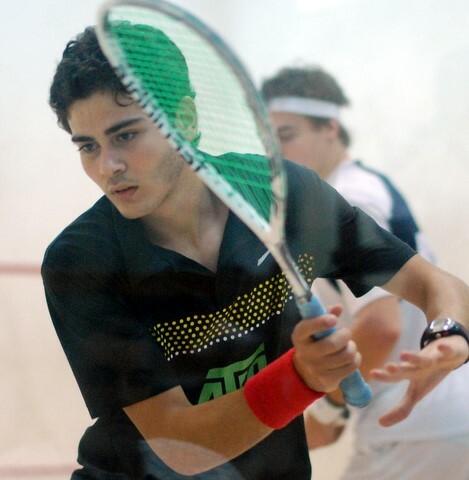 As you get better in squash you should be spending more and more of your time training off court. Not only are you trying to get fitter, stronger and faster, but also avoid injuries. You've got to be healthy to compete and handle the physical demands to play at the highest level. Looking back at the old sign posted up in my squash club as a child, 'Get Fit To Play Squash, Don't Play Squash To Get Fit' holds more and more truth to me now. Back when I was a kid it was more about the endurance, Jonah Barrington insane level of endurance. 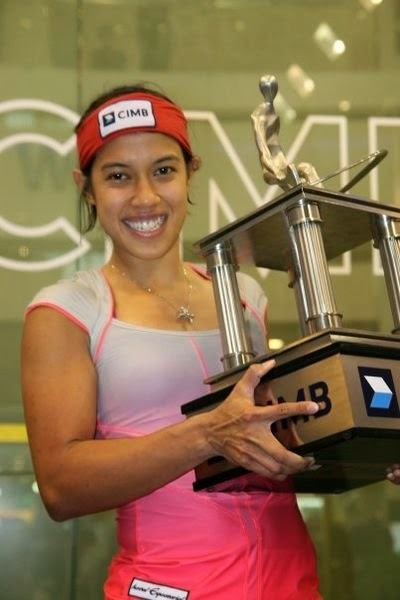 I don't know how many of the top players lose these days because of aerobic endurance, it's more the intensity and pressure of the rallies, or even injuries. In hindsight it's easy now to say that Ramy is probably dealing with his injuries from major overuse, which is also a necessity to becoming a top squash player. How would things have been different for him if he had a top personal trainer working with him as a child? We rarely do proper training to prevent injuries until they begin to occur, but that doesn't have to be the case with squash. How much of what you need to do off court to train for your level of squash depends a lot on your body type, genetics, your style of squash and your training history. I feel it takes an extremely experienced personal trainer to know exactly what is best for each person. There's simply too many individual differences one must take into account that it's unrealistic to expect a squash coach to have this wealth of knowledge. 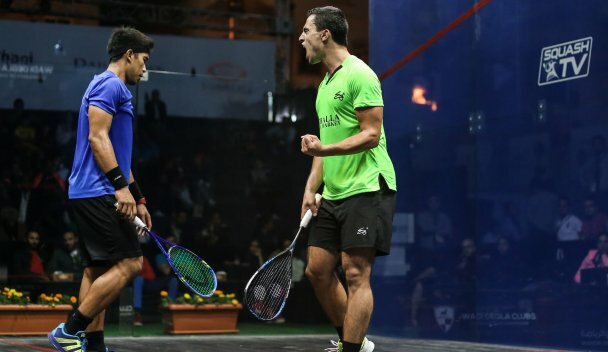 Training people in large groups as a squash coach can offer some overall strength or fitness benefits, but if you have lofty goals for playing at the highest levels you must seek beyond your coach for the strength and conditioning compartment. It takes a team of special individuals to allow 1 person to succeed. They likely charge as much or more than you squash coach will and unless you understand just how important they can be to your success I doubt you will invest in one. Hopefully I've given you a few reasons to reconsider this. Let the coaches coach and the trainers train. Coaches should be able to help you with your technical, tactical, mental and squash specific movement patterns, but the off court training does not fall under our realm of expertise. 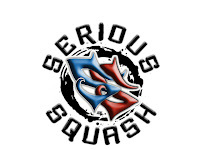 Squash Canada, like most other countries should change their coaching curriculum accordingly. I believe they should include more mental skills training and discuss about how to build a team and program to allow kids to succeed from the grassroots to pro level. I think they should also want coaches about doing too much physical training with their athletes when they are unqualified and their students could get injured. 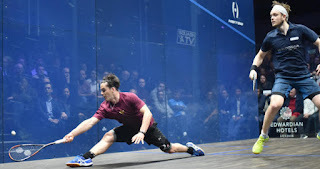 The challenge here is that if many of our athletes aren't already doing some fitness training outside of squash we feel we must include some in our practices. It's simple to include fitness training into a group session, but if it is exercises are done without the knowledge or ability to correct form there is not much good coming from these sessions. One of the most difficult things I have found as a player and also as a coach is deciding after losing a game to not change a thing. We all think that because we lose a game we must change something so we do better in the next one. This is a really difficult concept to understand in the heat of battle as a player and as a coach. We want to play our best and if we lose we don't like to admit that our opponents executed really well or that there is a thing called statistics that balance themselves out over the long haul and that sometimes a single game isn't long enough to know if our tactics will prevail. 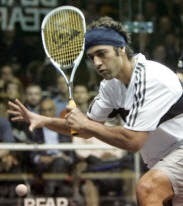 In squash there is also a major fitness and mental component to a match which we must be taken into account. Often times all we need to change is our focus and other times it's simply maintaining that concentration and effort after a disappointing result. Plus if all we ever think about and hear after a game is what could have been better, how are we ever going to be confident in what we did well and what was working? Focusing too much on areas that need improvement doesn't always mean you will play better after acquiring such knowledge. Ahh, the art of coaching. If we are playing someone stronger than our level we shouldn't look only at the score to determine how well we are playing. Here I prefer to focus on playing the right shot and simple things, such as getting your opponent behind you or extending the rallies or making them work harder. This all makes sense, but what happens when we lose a game to a person that we believe to be at or even below our level? This happens to all of us and when it does our ego takes a real shot in the gut. We get twisted up because we can't understand how we are playing so poorly, again forgetting that we are up against an opponent who has come out for a real fight. The first thing here is just to let go of the worry about the outcome (outcome focused does not give you desired outcome results). Worry leads to tension, overthinking, anger and potentially freezing up. The key isn't always making a change, it's normally just focusing on the process; keeping things simple and staying positive. Keeping things simple and doing the basics well can take you a long ways on the court; the challenge is that this becomes all the more difficult to do when our back is up against the wall. And remember that if your basics are superior to your opponents, over the course of a match most of the time things will go in your favour. 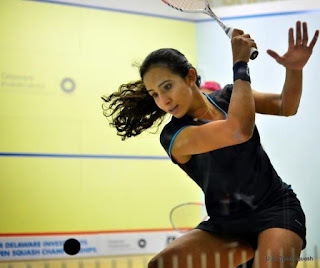 If we use excuses like the refs or our opponents lucky bounces, or how it's not our day or some stoppages in play we are never giving ourselves a real shot of playing our best squash. These are all obstacles that are created more psychologically than physically. If you can learn how to enjoy the challenge of the challenges you face you will have the best chance of overcoming them in a positive manner. This is what handling adversity is all about. It's easy to be a good sport when we're winning and playing well, but when things are going against us it's when it reveals our true character. Learn to change your reactions to these situations if you aren't handling them well. But let's get back to the topic at hand. Let's once again discuss the situation where you are playing someone of a similar standard and lose a game. I often see people lose a game by 2 or 3 points and they think they need to do something drastically different the following game and they come out and they end up following this up with a worse result. Normally when this happens the most important thing you can do is go out and play the exact same game. You almost won the last game, why make a drastic change? When we are in these situations it is so difficult to just stick with a game plan, but remember it's first to win 3 games not best of 1 or 3! 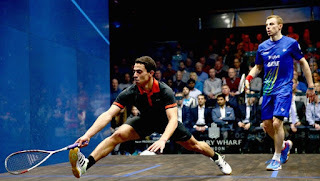 At a high level squash is very physical and mental and if you can play a similar standard game later in the match often your opponent will drop, either their focus or fitness (which in turns results in unforced errors). When we try and change our game too much we begin to overanalyze and possibly try playing out of our comfort zone and this is when we may actually perform worse. So don't go changing things simply because you lose a game; change things because you feel like your strategy was incorrect or could be slightly smarter. I believe that we try and drastically change game plans far too frequently when we lose a game. Often it is simply about slightly better execution so just being given some reassurance that they are on the right track can be quite helpful. As a coach we also feel like we know better than the athletes and that we should give them some amazing pointers that will turn the game around! Once in awhile this does happen, but a great coach will know when to reaffirm what the athlete is doing and keep them positive and upbeat returning to court. I know this goes against the famous Albert Einstein quote about insanity, 'doing the same thing over and over and expecting to get a different result' which is possibly why we feel such an urge to change something. This is an area I'm still working on because it is different from person to person. This is also why I believe you should always focus on playing the right shot. After a rally (not during) is your time to quickly process your previous point. You may learn 1 thing from it about improving your shot selection in a future similar situation; good players can make adjustments in game like this. If you are focusing on poor execution that's where we get in trouble. If we begin to think about our swing it is incredibly difficult to change our mechanics during a match so those types of self-analysis are best left for after the match. We might know we need to hit it deeper so we can change our target, but we don't need to get into specifics regarding our swing and how to do this unless you are quite advanced and if you are this advanced you probably don't need to think about your swing mechanics whatsoever to change your targets. So if Plan A didn't quite work, don't be so quick to jump to Plan B or C! Sometimes our best chance of winning is by sticking with what we just did. Knowing when to jump ship and went stay onboard is something you should think about and consider experimenting with. If you got away from your style too much and you think if you got back to your regular game it would help things then go for it! If you don't have a coach with you it can be quite helpful to make a few notes on an index card. You could have 2 or 3 styles or keys that can helps you play well. You could also try something a little different like this if your focus is on level of discipline/attacking. Plan A) Just play your game! Plan B) Be More AGGRESSIVE! Plan C) set it up before your fire it in! Don't use too many at once. When we think too much we can get paralysis by over-analysis. Often a simple, gentle reminder works best. If you have a tendency to overhit the ball, maybe your notes should say Plan A) easy big guy, smarter not harder! Plan B) You're blowing them off the court! Plan C) Bring the heat!!!! So just a simple cheat sheet can be quite useful and you'll notice I kept an option of doing what I was already doing; but sticking with this after losing a game is what today's topic is all about. If you feel the movement, pace or aggressiveness of play is your key to success design your card around that and maybe you'll stick with your Plan A's a little longer. All of today's article has to do with focusing on the process of your squash and not the outcome. I want to win as much as the next person, but our improvement and even the current result is often jeopardized by short term and result oriented thinking. If we jump ship maybe we aren't giving our opponents the opportunity to have a mental or physical lapse in their match. It isn't all about us on the court. Sometimes it's just about being so gritty and determined that it eventually breaks our opponent. I'm sure we can all think of someone who resembles these characteristics.